Prince George’s County Department of the Environment, Anacostia Riverkeeper, the Town of Mt. 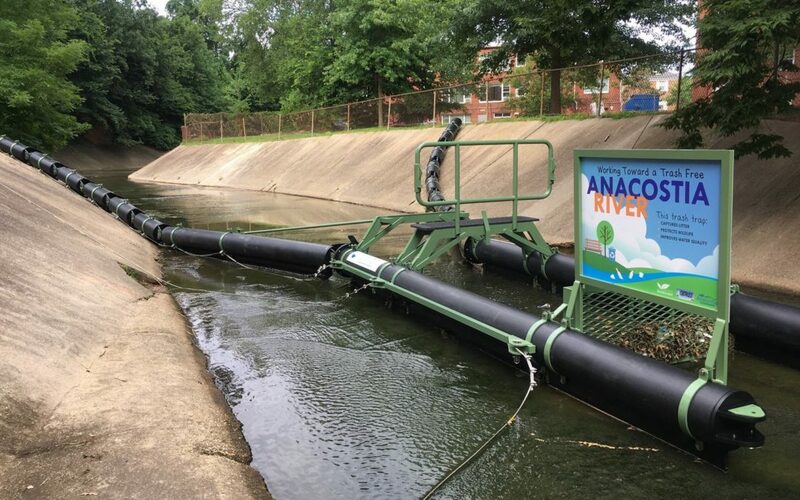 Rainier, and the Chesapeake Bay Trust worked together to install trash traps to help remove litter from the Anacostia River Watershed in Maryland. Our trap has helped to remove 170,628 lbs of trash from the watershed. Trash traps help to improve the overall health of the river, while not harming fish, waterfowl, and other aquatic life. More questions? Click here to learn more about the Bandalong Litter Trap and contact us for sales information.